<source data-cke-saved-src="/Files/Audio/Cusson-Automotive---AAA--Toy-Drive.oggmp3 type=" src="/Files/Audio/Cusson-Automotive---AAA--Toy-Drive.oggmp3 type=" audio="" mpeg"=""> Your browser does not support the audio element. 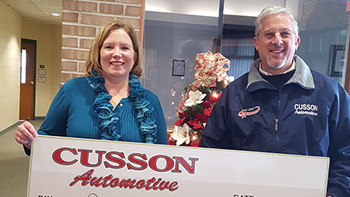 Cusson Automotive/AAA Toy Drive Was Successful! 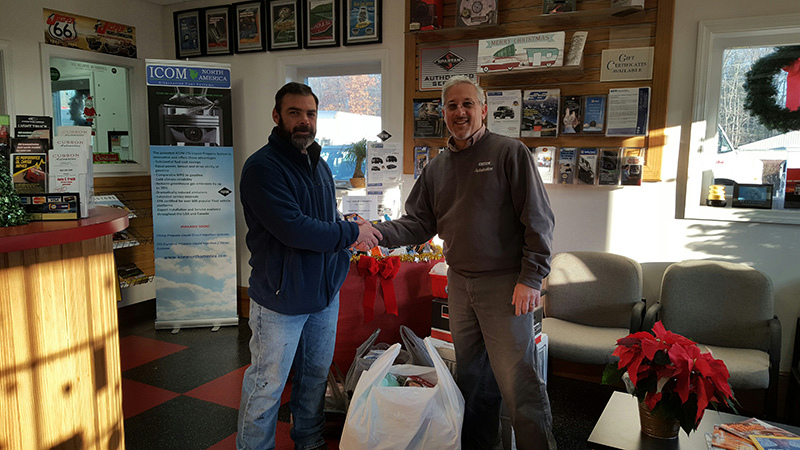 AAA and Cusson Automotive collected over 500 toys for the CT Children’s Hospital. We even had one of Santa’s helpers available for delivery. 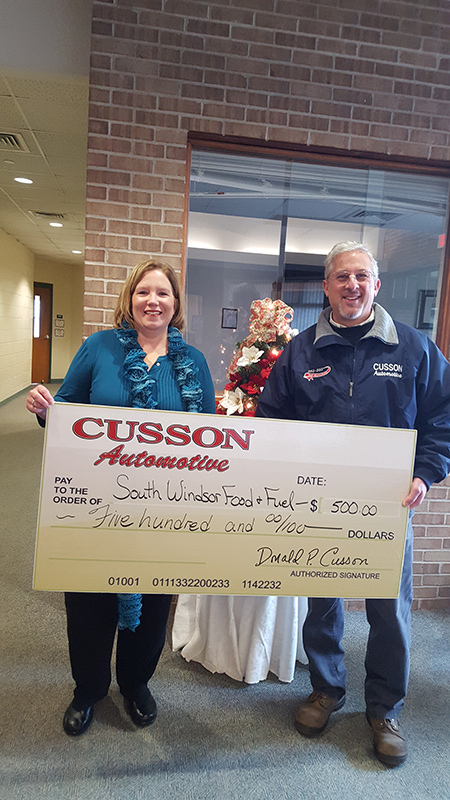 A big THANK YOU to all our friends and customers that supported the cause and the reason for the season. 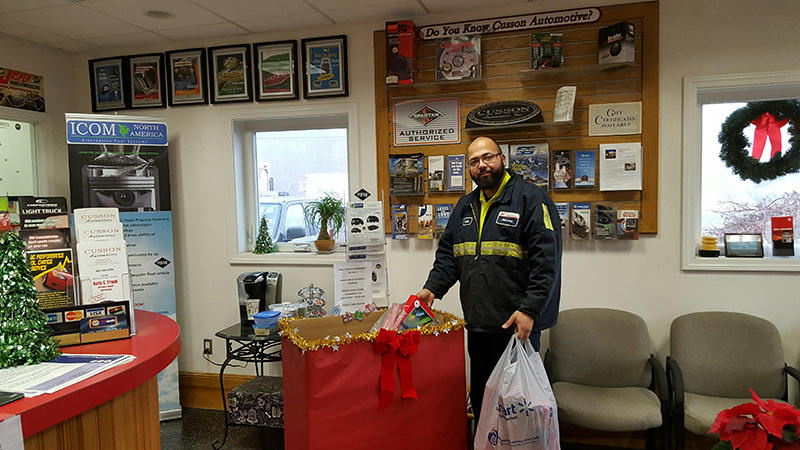 Tino of AAA gathering our collection for the big day! Paul taking a look at our collection. 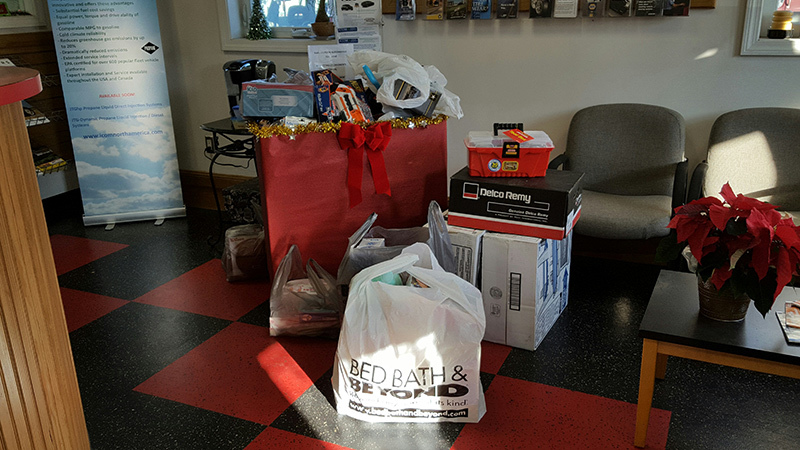 A special thank you to Paul and Boy Scout Troop 96 of Ellington who came through big for us in just a few days, thanks guys! The kids loved it all! Merry Christmas and thank you for your patronage.